Keep your home and family safe with up-to-date smoke alarms. There’s more to smoke alarms than just testing their batteries. 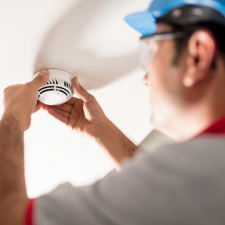 Aside from basic code requirements, smoke alarms require periodic testing and have a limited service life. And, don’t forget about other important home safety measures such as heat sensors and carbon monoxide detectors.